Depending on where you live, your part of the country might finally be coming out of a winter that seemed like it might never end. The days are starting to get longer, the temperatures are edging up and you might even see some flowers starting to poke through the frost. For some people, though, spring is less a marker of warmer days and more an indication that seasonal allergies are right around the corner. Whether you’re allergic to plant pollen, ragweed or any of the other million microscopic substances that can turn you into a sneezing, stuffy mess, it’s important to understand how allergies affect you when spring has sprung. Instead of suffering through attacks and popping over-the-counter medications, CareWell’s urgent care centers can protect you from seasonal allergies. This is a common sight for millions of Americans every year. 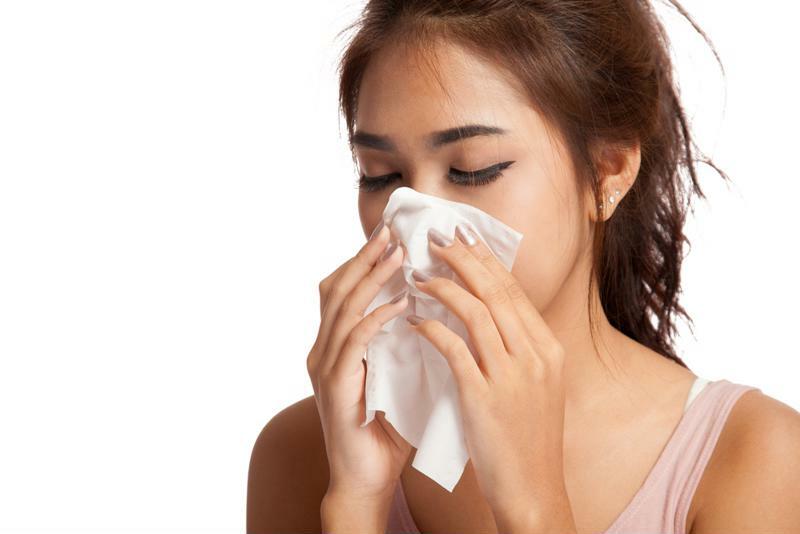 When people with allergies are exposed to irritants, the symptoms can appear very similar to that of the common cold – runny nose, red eyes and congested sinuses. However, the cold is a virus that you pick up from the external world. Allergies, on the other hand, are a totally different story. In the grand scheme of your body’s internal workings, the immune system is supposed to keep harmful substances out of the body and destroy them if they happen to make it in. However, the immune system is not foolproof – sometimes, it will identify an otherwise normal cell, nutrient or substance like pollen and immediately attack it. This is why allergy attacks can come on so suddenly. Your body doesn’t need to contract a germ and then let it gestate over time. As soon as an allergen hits you, your immune system automatically overreacts. Because the immune system will keep attacking harmless substances like pollen and pet dander as long as they’re present, you can’t just wait for your allergies to get better like a cold. You might not even be able to wait your allergies out, as the symptoms can last indefinitely if you live in an area with loaded with allergen-producing sources, such as large tracts of flowering gardens or pets that shed in mass quantities. Many people find relief from allergies through over-the-counter medications, but if you’re not sure what you’re even allergic to in the first place, CareWell’s urgent care centers can help you identify the cause of your discomfort. You may even be sensitive to multiple substances, so it’s important to get tested by an allergist so you can avoid these in the future. Seasonal allergies may not be debilitating, but they can affect your concentration at work, interfere with sleep at home and cause you to become irritable toward others. Don’t let allergies ruin your spring this year and visit a CareWell urgent care center today to prepare yourself for seasonal allergies.